Whether you are travelling on business or on holiday, we offer 24 hours transport from Faro Airport to any destination in Portugal and South of Spain. Our main centre of operation is in the Algarve and we cover all resorts and hotels in the region. We aim to offer the best Faro Airport Transport service to all our customers at a competitive price. 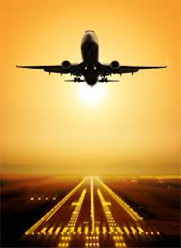 Faro Airport Transfers - Click here to ask for a quote or book now your Faro Airport Transfer. Amazing Golf courses with sea view! One of the finest golfing destinations in Europe, the Algarve is regarded today as an elite venue by top professionals. You can also book with us the transfers from your hotel or villa, to the golf course of your choice. Algarve Golf Transfers - Click here to ask for a quote or book now your Faro Airport Transfer. We can also offer you a first class chauffeur service during your stay in the Algarve. Whether you are travelling on business or other purposes, we provide a professional and exclusive transportation service to you at a competitive price. Private and Corporate events such as: excursions, conferences, seminar, group Meetings, wait and return or private tours. Chauffeur and Business Transfer - Click here to ask for a quote or book now your Faro Airport Transfer.